Coach Goffee has over 25 years experience coaching baseball at the high school Varsity and American Legion College level Players. As former head coach of the Ann Arbor Huron River Rats, Steve brings a high-level of technical knowledge to the game and experience working with young players. 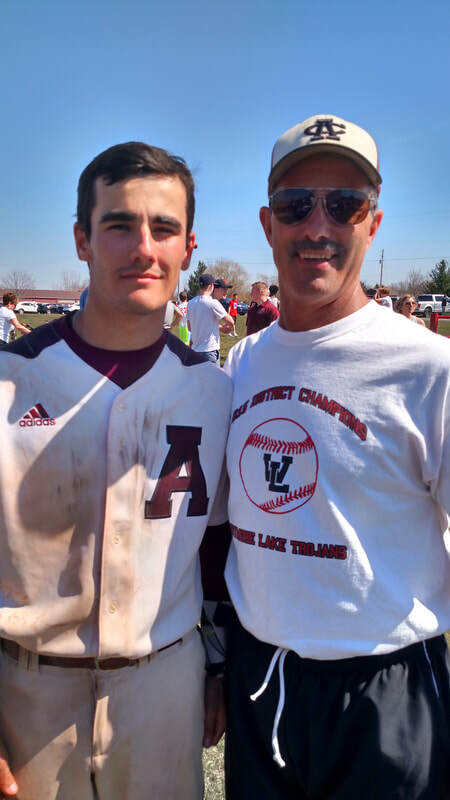 Not only does Coach Goffee have in-depth baseball knowledge, but his 25+ years teaching in the Ann Arbor school district gives him the skills to teach baseball and make learning the game fun for young players. This combination of baseball knowledge, coaching experience, and teaching skill will help your young player improve. For more information about private training sessions, please click here. Coach Greg Goffee has just been named Varsity Head Coach at Jackson Preparatory and Early College. He is a grad student at CMU after finishing his degree of under study at Alma College. Greg finished his baseball career at Alma earning 2nd team all conference honors, hitting .324 his senior year with 25 stolen bases, leaving him just 2 shy of breaking the Scots all time stolen base record in only 2 years of playing. Greg has been doing lessons at the DBA for over 5 years now working with ball player's of all ages and skill levels. His ability to teach the game of baseball is very apparent as he moves up in the coaching ranks now at the High School level. Greg will continue to teach lessons at the DBA on a limited basis.